You’re ‘Tidying Up,’ and Pittsburgh thrift stores are expecting a boom. At the Animal Lifeline Pittsburgh Thrift Store, "truckloads" of donations have been dropped off in the past two weeks. Jan. 15, 2019, 5:40 a.m.
Perhaps your Instagram feed is filled with photos of neatly rolled towels and perfectly folded T-shirts, or maybe your partner dumped all of their clothing onto the bed to sort and determine which items spark joy. 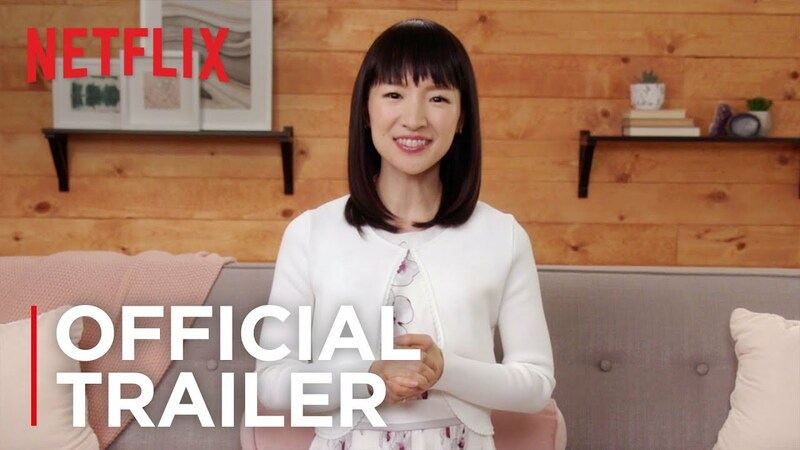 It seems like just about everybody is “Tidying Up” right now, inspired by organization mastermind Marie Kondo’s Netflix show of the same name, which debuted Jan. 1. Kondo, author of the The Life-Changing Magic of Tidying Up, asserts that only items that spark joy should be kept, one principle of her KonMari Method. But what happens to everything that doesn’t spark joy, like all of the clothes that are voted off of clothes mountain? Many items, it seems, are headed to thrift stores around Pittsburgh — and across the nation, per CNN, which recorded “a small wave” of people donating items. But locally and nationally, it’s hard to quantify exactly how much impact Kondo has made versus typical New Year clean-ups. It’s tough to track why people donate, said David J. Tobiczyk, vice president of marketing & development for Goodwill of Southwestern Pennsylvania. “Donations have been very strong. How much is related to the Netflix program would be difficult to say,” he said. Drop-offs always increase at the region’s 28 stores when the weather is mild, he said, especially when it’s unseasonably warm on weekends. Animal Lifeline Pittsburgh Thrift Store in Homestead has recorded “a huge increase in donated goods,” the store’s director, Lynda Manko, told The Incline. Store proceeds help fund the charity’s animal care programs. At Dress for Success, which strives to empower women to economic independence by providing support, professional attire, and development tools, more donors are taking note and have been especially generous with accessories and jewelry. “We’ve been getting a lot of requests (for information about donating) on Facebook recently, and that’s more than we normally would. In the last two weeks, I think we’ve had five,” said Dress for Success Communications Coordinator Calynn Abdullah. Normally, they receive one Facebook message every couple of months. While it’s tough to determine the origin of that additional interest, it comes at a great time, as Dress for Success’ Allegheny branch expanded as of Jan. 1 into a larger space in Bloomfield. At the Free Store in Braddock, there hasn’t been an influx of donations — yet. “I can’t say I’ve noticed something more than the usual, but I anticipate it, because it’s happening in my own house,” Free Store founder Gisele Barreto Fetterman said, adding that her 9-year-old son KonMari-ed his room. Assuming a KonMari wave is to come, she reminded potential donors to donate only in-season items to the small shop, which accepts clothes, shoes, accessories, toys, and diapers. The Center for Women Pittsburgh, meanwhile, is encouraging KonMari converts to donate to Thriftique in Lawrenceville, a nonprofit enterprise of the National Council of Jewish Women. Thriftique’s Director of Retail Operations Lynn Tomasits hasn’t seen an uptick yet, but she expects to see increased donations soon. Tomasits read Kondo’s book a few years ago and to this day keeps her clothing Kondo-ed. In addition to the good feelings that come with organization and donation, thrifting is a way to “support sustainable fashion,” she added. But the KonMari method isn’t just about clothes. No, clothes are only step one. So what about everything else — the miscellaneous stuff, or “komono” as Kondo calls it? Cue the Center for Creative Reuse, which accepts everything from those middle school trophies you’re finally ready to let go of to wine corks to craft supplies. The Point Breeze center hasn’t recorded a deluge of donations, and Executive Director Ash Andrews thinks that’s because people haven’t yet started moving their materials to donation sites. The Center isn’t quite like a typical thrift store. It focuses on things that artists, educators, and DIY-ers could reuse. Or as Kondo would say: It sparks joy. If you’re KonMari-ing, here’s our big list of where to donate gently used items in Pittsburgh — from trophies to potted plants. And here are some more ideas about how to donate clothing.